Im so honored and excited to be one of the bloggers chosen to be part of the Tulip Holiday Shimmer campaign! (If you follow me on InstaGram, you probably already knew that!) They sent me this huge box full of Tulip Shimmer Sheets, paint, glitter, and even some bling! Under one condition; create a holiday tutorial using the products. Um, yea I can totally do that! Of course I chose something that Chuy could wear and I plan on doing a few other tutorials using some of the other supplies in the box so stay tuned! 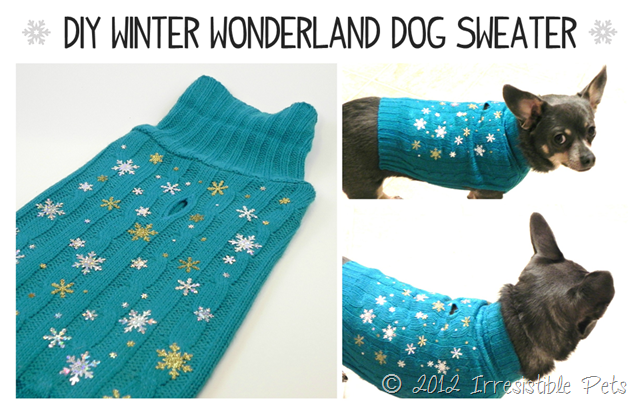 Be sure to check out our DIY Christmas Bling Collar and DIY Ugly Christmas Sweater for Dogs! 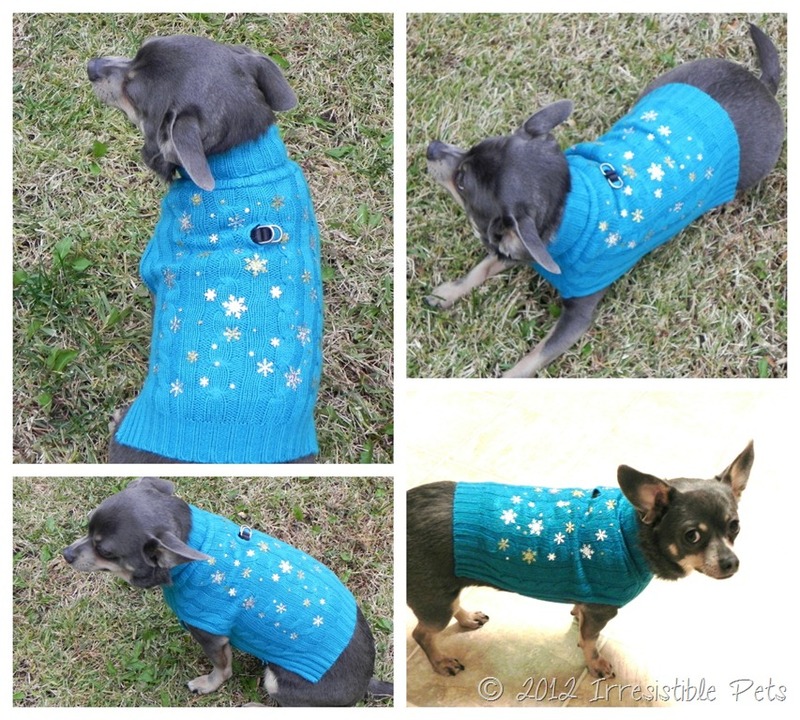 For this tutorial, I took a simple dog sweater and turned it into a blinged out winter wonderland sweater that is sure to make your pet look irresistible! Chuy is set for all his holiday partying. The beauty of using the Tulip Shimmer Sheets is that they give the look of glitter without the mess! AND, they are so simple and fun to use! Using a paper punch or scissors, cut out snowflakes from the Tulip Shimmer Sheets. 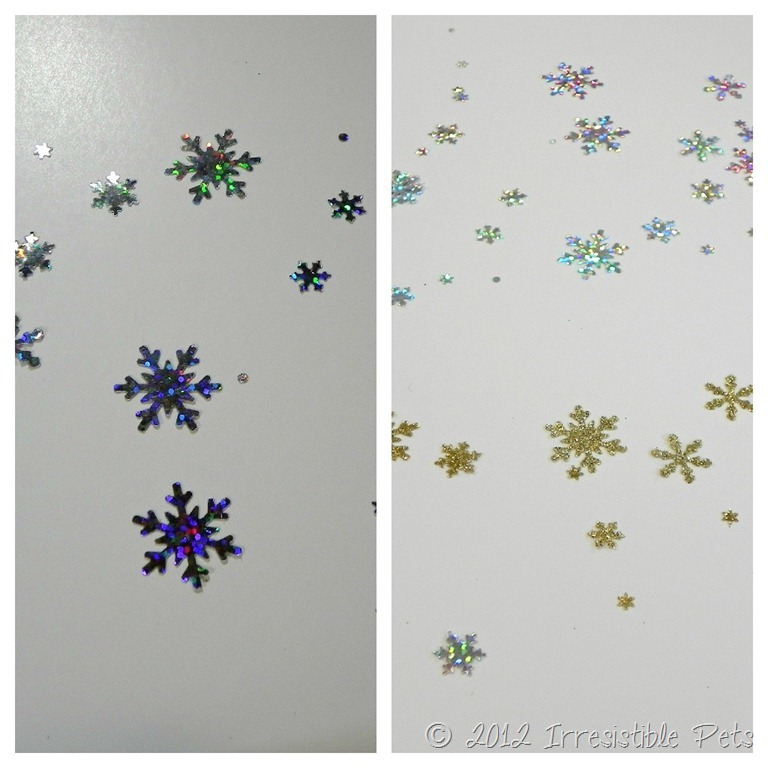 I used gold glitter and the silver hologram sheets. 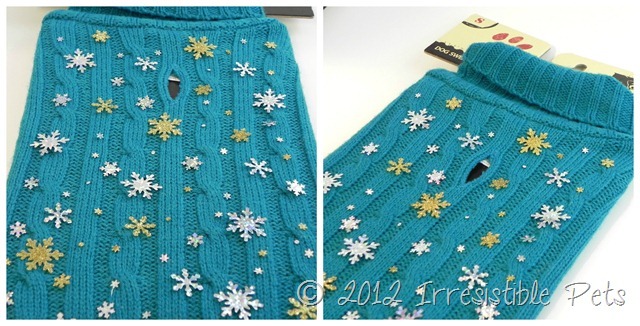 Cut out enough snowflakes to cover the back of your dog sweater. Arrange the snowflake cutouts on the dog sweater. Make sure that the transfer side is touching the sweater. Otherwise they will not stick and will adhere to your cloth when you iron them on! Carefully place the pressing cloth over your design. Heat dry iron to suitable setting for your dog sweater. 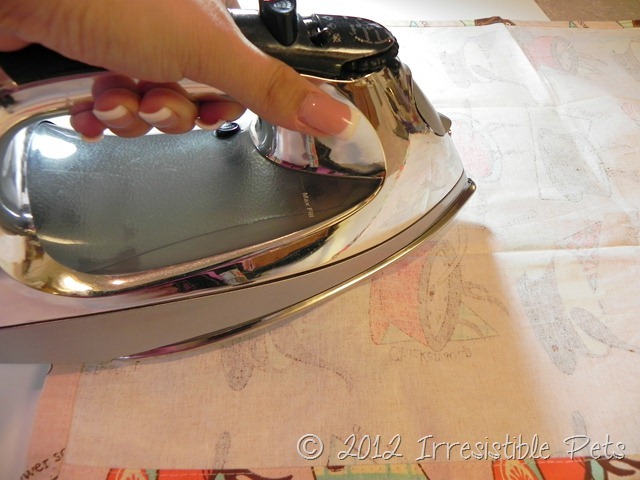 Iron design in place, pressing firmly for 40 seconds. You may need to do this a second time to ensure the transfers stick. Turn the sweater inside out and iron the transfers from the back. 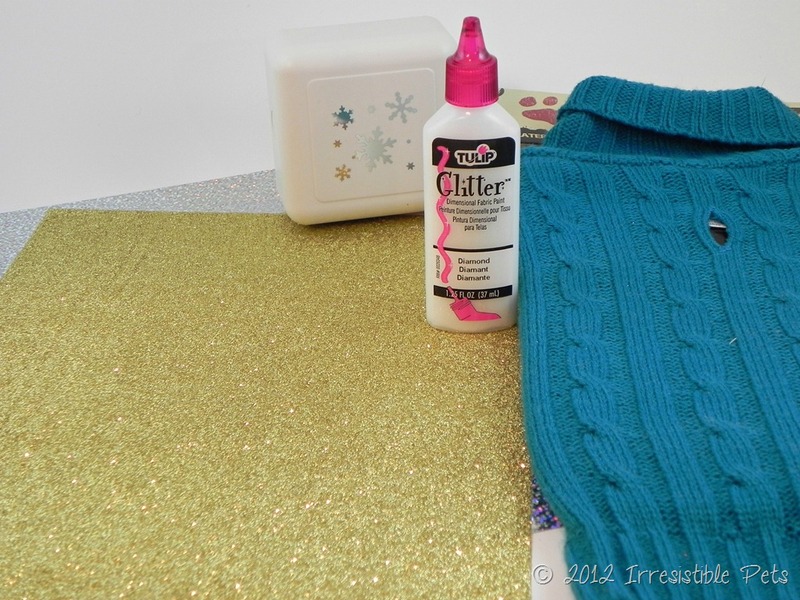 I was going to use the Tulip Fabric Paint and put a few glittery squiggles on the sweater. However, once I finished ironing on the transfers, I decided not to. I thought it looked pretty with just the snowflakes. 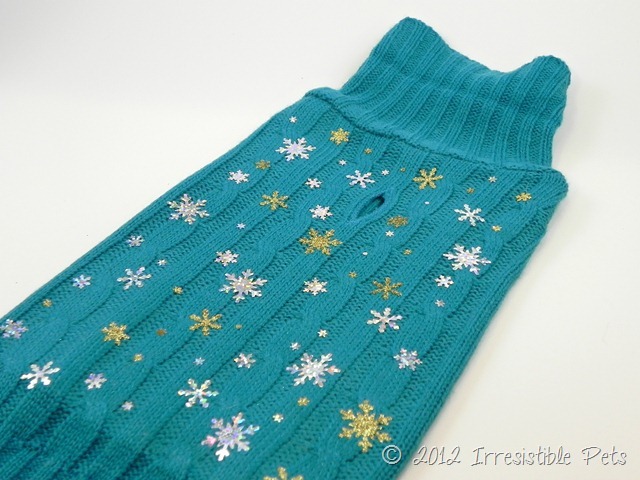 Feel free to add some extra bling on your dog sweater! Once the transfers are set you can let your dog try it on! Chuy is looking awfully dapper in his holiday sweater, dont ya think?! Oh and this is totally doggie proof. If you think the transfers will fall off, they won’t. Chuy rolled all around on the floor and everything stayed in place! I wrote this post as part of a paid campaign with Tulip and Blueprint Social. The opinions in this post are my own. Check out some of the other bloggers are creating with the Tulip Shimmer Products! YESSS!! I was hoping you’d do a sweater!! This is sooo cute! 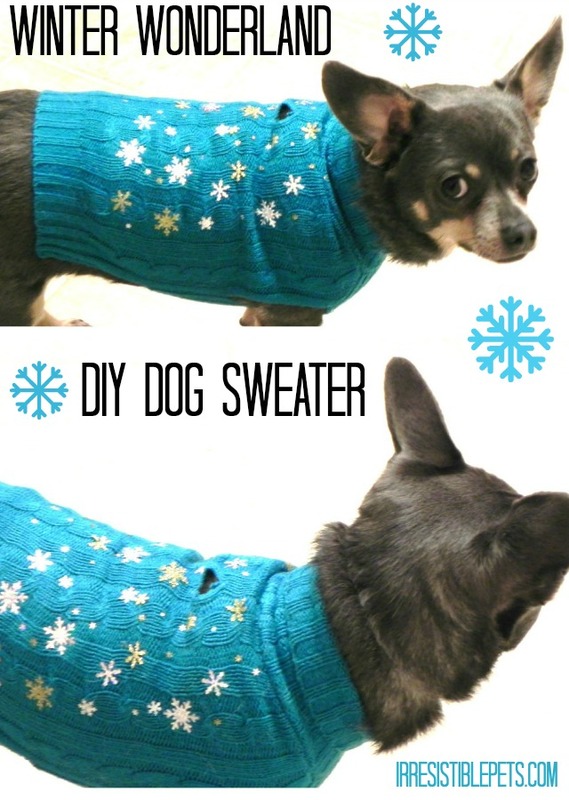 I don’t know how I didn’t think of doing this, but it’s perfect for my ugly sweater party! I got my pup a tacky sweater and was thinking of patches, but I’m SO using the Tulip products to decorate it! Thanks! Thanks Nicole! I can’t wait to see the one you create! Oh my gosh, that is the cutest thing ever!!! Love it!! Too cute! What a fun idea. 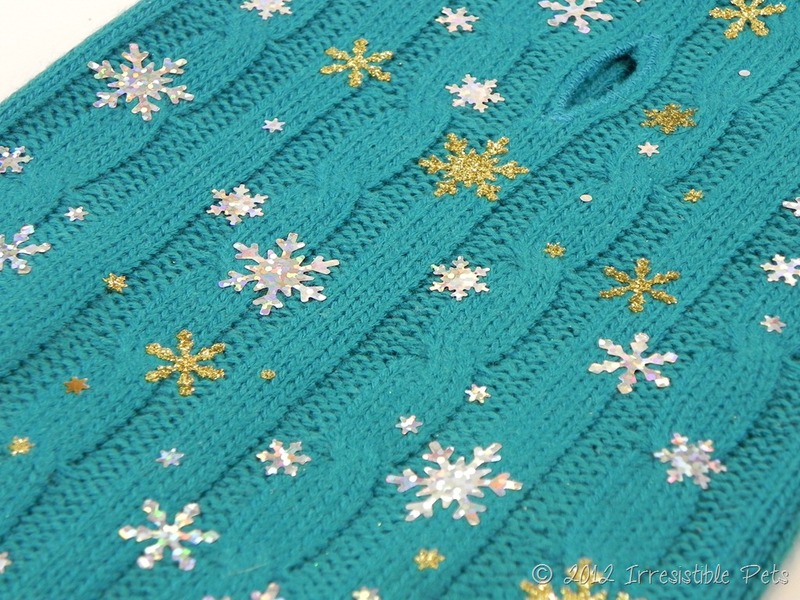 I’m looking forward to creating my holiday project with Tulip’s products soon! Thanks Doreen! Can’t wait to see what you create! So cute! I love the festive sweater on the little guy. Such a great model! 1,000 times yes! So very cute! Very cute! I’m glad you mentioned that the snowflakes can stay on during normal dog activities, because I had my doubts! Thanks Beth! They really adhere nicely to clothing!